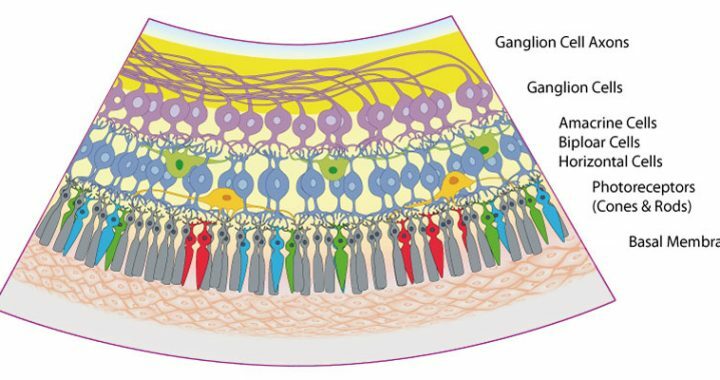 Do you need a free schematic figure of the retina for your work? We needed one, too. So we created one and publish it here under a Creative Commons License, so you can use for free in your own commercial and non-commercial works. The only thing we ask for is referencing this website, if you decide to use the figure. You are also allowed to alter it, under the condition that you keep the reference to our original version. 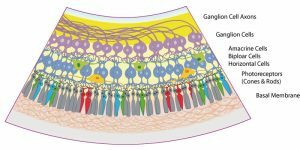 Schematic Figure – Retina by Neurodiagnostics Laboratory @ Charité – Universitätsmedizin Berlin, Germany is licensed under a Creative Commons Attribution 4.0 International License. 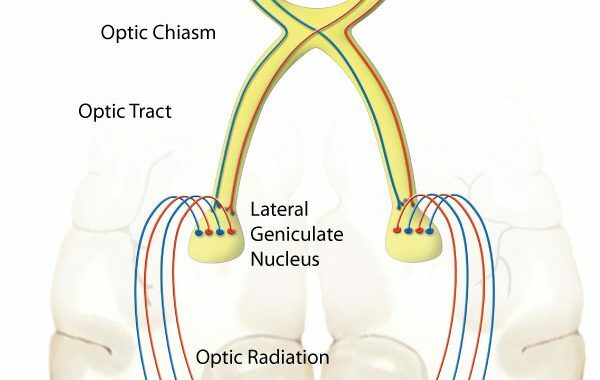 Do you need a free schematic figure of the afferent visual system for your work? We needed one, too. So we created one and publish it here under a Creative Commons License, so you can use for free in your own commercial and non-commercial works. The only thing we ask for is referencing this website, if you decide to use the figure. You are also allowed to alter it, under the condition that you keep the reference to our original version. 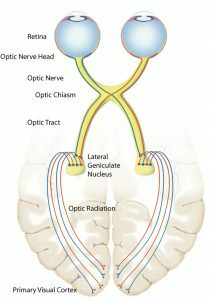 Schematic Figure – The Afferent Visual System by Neurodiagnostics Laboratory @ Charité – Universitätsmedizin Berlin, Germany is licensed under a Creative Commons Attribution 4.0 International License. 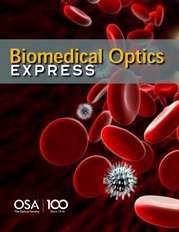 Optical coherence tomography (OCT) allows three-dimensional (3D) imaging of the retina, and is commonly used for assessing pathological changes of fovea and macula in many diseases. Many neuroinflammatory conditions are known to cause modifications to the fovea shape. In this paper, we propose a method for parametric modeling of the foveal shape. Our method exploits invariant features of the macula from OCT data and applies a cubic Bézier polynomial along with a least square optimization to produce a best fit parametric model of the fovea. Additionally, we provide several parameters of the foveal shape based on the proposed 3D parametric modeling. Our quantitative and visual results show that the proposed model is not only able to reconstruct important features from the foveal shape, but also produces less error compared to the state-of-the-art methods. 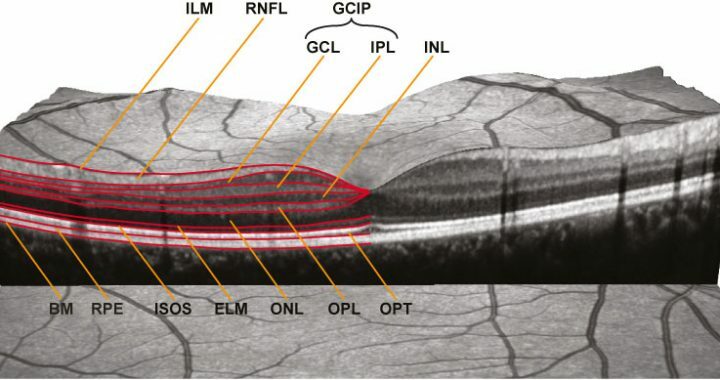 Finally, we apply the model in a comparison of healthy control eyes and eyes from patients with neuroinflammatory central nervous system disorders and optic neuritis, and show that several derived model parameters show significant differences between the two groups.